Search engine position tracking has never been so easy! The RankTank Pro Google keyword rank checker allows you to paste in a list of keywords, enter your domain, and pull back all of the Google keyword rankings. You can choose the desired Google locale and language and your results will update in real-time. This keyword position tool is based on the totally free Google keyword rank checker tool and removes the 100 row limitation! Elite version supporting 10K+ keywords! Note: The free version of this template is limited to 100 keyword rankings. The Pro version removes this limit and requires no additional tools. The elite version can support up to 100K keywords! Set this sheet up to run on a schedule, and you’ve got yourself an automated SERP rank checker! Automate keyword ranking reports, track and set alerts on Google position changes, and get a full understanding of what keywords you do rank for on Google – and where! 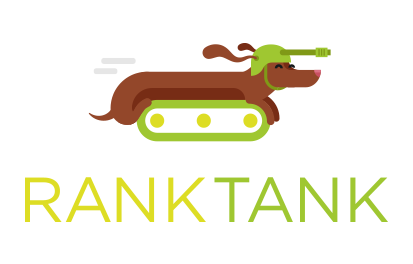 This RankTank Pro SEO tool will let you check keyword rankings relative to your domain, right inside of a spreadsheet. There’s a lot of free keyword tools out there, but this tool is completely open and transparent. All of the code is right there for you to view, modify, and tweak to your needs? Create something cool out of this? Hit me up and let me know!